Today on the blog I am sharing What’s on my holiday wishlist! I know I’m not the easiest to buy for so this post is great for my boyfriend anyone who was having a hard time doing their holiday shopping. This gift guide is also perfect for anyone else who has similar taste to mine, you can always send this guide over to your loved ones as a frame of reference during their holiday shopping. Now, lets get to my holiday wishlist! I would like to consider myself a little tech savvy and I feel like the Amazon Echo would be perfect for me! It is perfectly designed to make your life soo much easier and it is also has a speaker so you can play all of your music! Okay to say that I am obsessed with the Rebecca Minkoff Love Crossbody is a major understatement! I am in love with this chevron quilted design and it will match perfectly with all of my everyday outfits. This Bauble Bar Aimee Layered Necklace is so delicate but also very elegant! I can’t wait to pair this with my dress for New Years this year! Call me basic, but I am so obsessed with the wearing your boyfriends initial trend. The hard part about this though, is trying to find the perfect one. So when I found this Monogram necklace from Anthropologie, I new it was the perfect delicate one for me. When I first saw this Double G Gucci Belt, I new it would be on my Christmas list this year. It is on the pricier side, but hey, this belt in my opinion is staple fashion piece and definitely worth the splurge! So, if the girl in your life has very similar taste to me then everything above on this gift guide, she is guaranteed to love it all! Comment below with your wishlist! Crossbody bags are the best! Girl, YES you need an ECHO! I looove anything tech-related tbh! I’ve been wanting to try Amazon ECHO for ages now but I just haven’t gotten around to actually purchasing it… you may have inspired me. I keep seeing the Echo coming up on people’s wishlist, and I’m not surprised! It’s so convenient, especially when cooking in the kitchen and you want to blast music! That is definitely on my wishlist as well, in addition to a new luggage set, a more travel-friendly laptop, a shot glass holder, and socks! Great picks! I wasn’t sure if I wanted an Echo, but now that I’ve been reading more about it, I do. I love both of the necklaces. My husband’s name starts with an A! Oh, I love that crossbody! I hope you have a Merry Christmas and Happy New Year! Oh I want the Echo too and that belt!!! These are seriously good finds girl! Wishing I saw this earlier. Guess I’ll just pick them up for myself after the holiday! The layered necklace it’s so pretty! 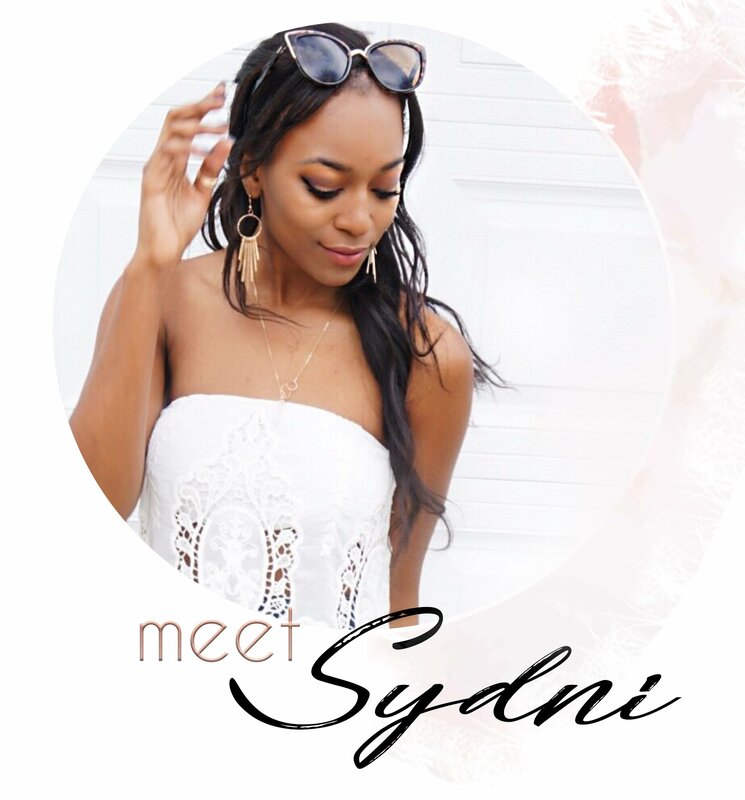 Hello Loves and welcome to Sydni Denise. A fashion + lifestyle blog based in Atlanta, Georgia. I hope I can insprire you in some way.